Citroen is a major French automobile manufacturer founded in 1919, today it is part of the PSA Peugeot Citroen group. Creativity and boldness have always been at the very core of the Citroen brand, today the marque continuously changes itself by coming up with fresh ideas, distinctive styling and new and intelligent technologies. Citroen is one of the most profitable carmakers in Europe and in 2015 it even managed to be absolute best car seller in the Continent. This come mainly from the brands ability to offer a diverse range of cars capable to appealing to every pocket, every need and every desire of its customers. Like so many brands, Citroen strives to offer its customers the very best technology and innovation available and in fact their commitment runs so deep that the company is now developing its “cars of the future” or “autonomous vehicles for all program” that aims to develop self-driving functions, speed adaptability, collision risk alert, parking assistance among other equally exciting capabilities. Until the cars from the future arrive to mainstream markets you can enjoy Citroen's already existing wide range of models and choose the one that better suits your needs. Finding used Citroen cars on finance is no hardship, so if you're interested in buying one we invite you to inspect our offers starting from as little as 50 every month. In the shade of Beige, this 2000 CC Petrol Citroen XSARA PICASSO with Automatic transmission is now available to take out on a test drive. 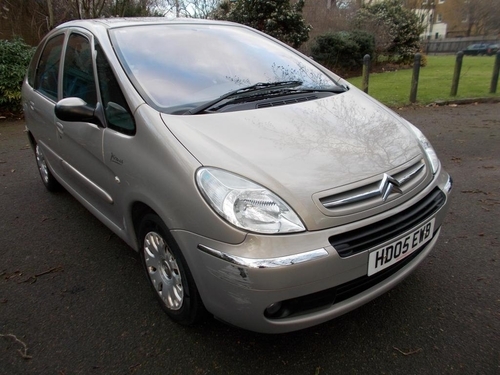 If you are thinking about acquiring this Citroen XSARA PICASSO or want to learn more, please email South London Car Sales in the London area. In the shade of Black, this car has got a 1400 CC Petrol motor with Automatic gearbox and done 47000 miles. 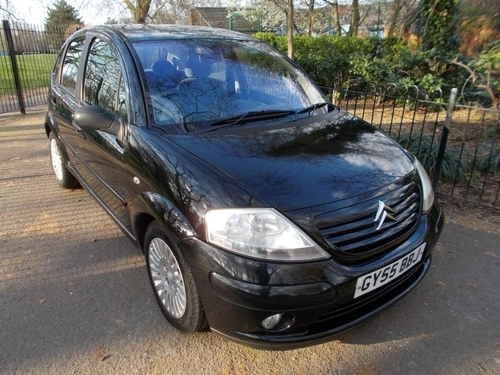 This Citroen is available to buy from South London Car Sales situated in London. Visit or call them to arrange a viewing. This C3 has a 1600cc Petrol motor with Automatic transmission. Pop down to this car dealership in London soon to enquire about test driving this C3. On show at our dealership in London - Citroen DS3 1.6 DSport Plus + containing a 1.6 Ltr Petrol engine with Manual transmission. If you think this might be the motor you've been looking for, simply visit or call one of the expert advisers for a closer look. If you'd rather not fork out for the total balance all at once you could buy on finance, simply enquire to get further information about what credit options are available for you to use, your instalments might only be £103.79 pm. Get a payment plan that suits you. Available to buy is this used car at just £7,499. This dealership also gives you the option to purchase with flexible monthly payments to suit all budgets with repayment plans commencing from as little as £173.00 per calendar month. The helpful advisers at this dealership are there to provide assistance in the purchase of this car that's now available on the market at an incredible price. Call or visit to make an appointment to see a member of the team at your earliest convenience. This used car has got Auto transmission and a 2.0 L Diesel engine. Head over to Cargiant in London or call to organise a test-drive in this only clocked-up few miles. This Citroen C4 has got transmission, a 1.6 Ltr engine and few mi clocked up on the dashboard. This second hand one from this dealership in London is finished in the shade of . Pick up your phone and get in touch with Cargiant in London to organise a test drive in this second hand C4 1.6 HDi 92 VTR. At the fantastic price of just £4,499 it is expected to sell very fast. This C4 1.6 VTR + EGS is equipped with a 1.6 ltr Petrol motor with Auto transmission. Test-drive this C4 1.6 VTR + EGS at Cargiant in London, just call or visit to have a chat with their friendly team to make an appointment. Currently on show at our dealership in the London area is this Citroen fitted out with a 1600 cc Diesel engine and Auto transmission. With the possibility to access our affordable finance options, you could drive home this vehicle right away. At the low price of £9,499 with flexible monthly affordable payments starting off at only £219.14 per month. Have a chat with us at Cargiant in London for more information. This C3 PICASSO has 15916 miles clocked up on the dash and comes fitted with a 1.6 Litre motor. It runs on Petrol with Auto transmission and comes in Grey. Pick up the phone to speak to this car dealership as soon as you can and get full details about this Citroen C3 PICASSO's specifications or to get some advice on selecting the right car for you. Available to test-drive at our dealership - C4 GRAND PICASSO 1.6 BlueHDi Exclusive EAT containing a 1.6l Diesel motor with Auto transmission. Grab the chance now to be the lucky buyer of this Vauxhall C4 GRAND PICASSO 1.6 BlueHDi Exclusive EAT. On offer and ready for you to drive home for the total of £11,999. 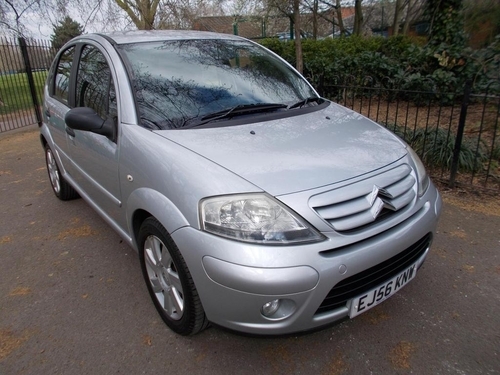 This second hand, low mileage Citroen C3 1.2 PureTech Edition features a 1.2 Ltr Petrol engine with Manual transmission. Up for sale in a Blue finish. Call or visit Cargiant to receive more info or get down to the dealership to go and see this motor in London. This used car has clocked up 51366 miles and incorporates a 1.6 LTR Diesel motor and Manual transmission. Visit or call our dealership for a test-drive. With 19537 miles on the dash, this Citroen C4 GRAND PICASSO 1.6 BlueHDi VTR+ comes fitted with Manual transmission and a 1.6 litre Diesel engine. Get over to Cargiant or call to speak to a member of their helpful team and schedule a test drive in this only clocked-up 19537 miles. Currently advertised by this dealership located in the London area is this Citroen C1 1.2 PureTech Flair containing a Petrol, 1.2 LTR engine and Manual transmission. On the market in a Orange finish with 13928 mi clocked up on the dashboard. This C1 is for sale with the option to purchase on finance starting from only £131.48 per month. There's a bargain price of just £8,999 on this Citroen at Cargiant in London. so it's still in a nearly new, almost flawless condition. Go for a test drive in this like new BERLINGO MULTISPACE at Cargiant in London.. Located at Cargiant in London for the amazing price of £7,999 is this second hand C1 1.0 Urban Ride with low mileage. Go to test-drive this Hatchback at Cargiant. Grab the opportunity to buy this Citroen C4 CACTUS which is available at just £7,499. It is finished in the tone of Grey, contains a 1.6L Diesel motor with Manual transmission and has clocked up 31008 mi. Go for a test drive in this Hatchback. Showing 1-18 of 10,936 items.